Mission Impossible or Tinker Tailor Soldier Spy? Which one is it? Reducing and eliminating incidents is like scaling up the Burj, chasing the secret code and just managing to get that warhead into the ocean. Or is a game of espionage? It never ends. Stuff will always break, so when will and can IT ever reach a proactive state? Will IT deliver those services that don’t falter? When? How? 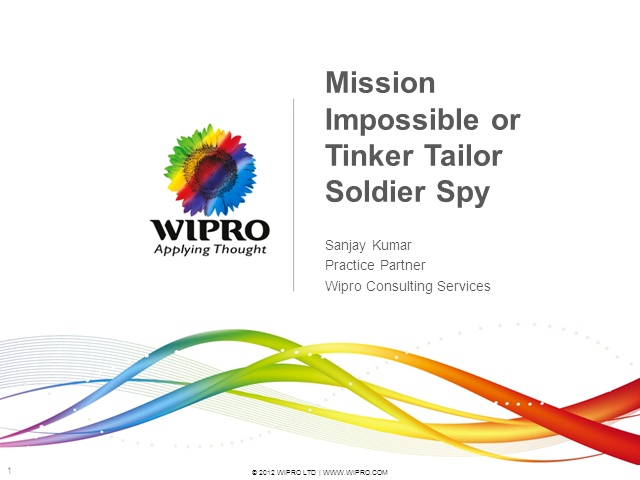 Title: Mission Impossible or Tinker Tailor Soldier Spy?